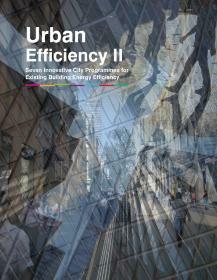 Urban Efficiency II: Seven Innovative City Programmes for Existing Building Energy Efficiency builds on research in the successful predecessor "Urban Efficiency" Report and captures seven new detailed city case studies from C40 member cities. It is primarily targeted at city-level policy makers and decision makers across the world. The report increases the resource and evidence base available to support cities understanding of the characteristics and impact of innovative city programmes emerging across C40 cities, that advance operational energy efficiency and retrofitting in existing, privately owned buildings. 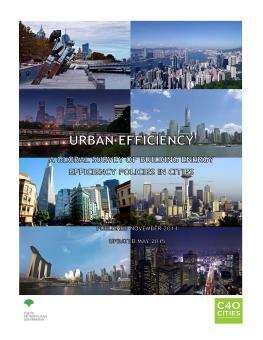 Urban Efficiency: A Global Survey of Building Energy Efficiency Policies in Cities is a resource for city officials around the world as they design new policies for building energy efficiency, or review existing ones. It aims to capture the range of different policies being implemented in cities, and is an initial attempt to reduce the current evidence gap regarding city-level activity in this field. It also provides detailed information on the necessary conditions, opportunities and potential challenges when introducing and implementing such initiatives, and analyses what approaches have been successful in which context and why.